Welcome to Free Tip Tuesday where bestselling authors, industry professionals and our team members share tips to success. Today’s Tip: Write it all down! When preparing and publishing your ebook, especially your first, it’s easy to become overwhelmed by the plethora of available formatting options. How can you be sure you are moving forward in the right direction? Make a list of pros and cons. 1. Do you provide scan-to-OCR services (if you are starting with print book)? 2. Do you remove optional hyphens from the resulting .doc file? Reformat the text to make editing easier? 3. Will I have a chance to edit the text before it’s made into an ebook? 4. Will you work with my cover, inserting it into the ebook files? 5. Or, if you don’t have a cover… what kind of cover services do you provide? What is the cost? How many change rounds does the price include? Is cover art billed separately? 6. 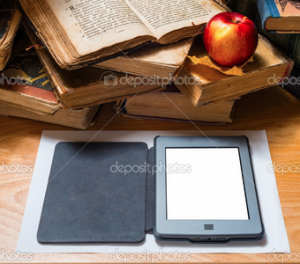 Will you deliver the ebook in .mobi and .epub formats? 8. Will my ebook allow readers to resize the text, make a different font selection change the margins, line width and background color? Compiling and comparing the provided answers can help you make the right decisions for your ebook and chart a successful course… all because you wrote it all down!